Team Developer sources carry an internal version number to indicate in which TD version the source was saved. with an older version (eg open TD 6.2 sources with TD 4.2) you will get an error and the source is not opened. 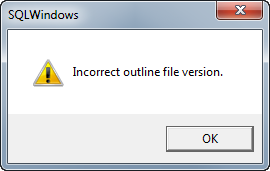 To solve this, open the source in a text editor and change the version number to your current version. 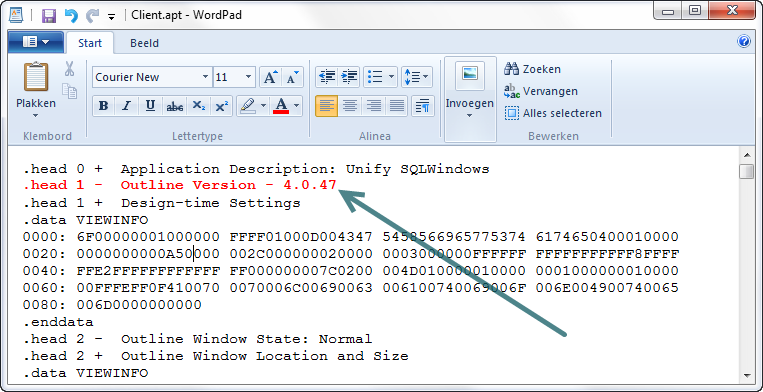 Locate the line with the version number, indicated in the screenshot by the red line. TD 5.1 and higher versions save the sources in UNICODE format. Older TD versions save them in ANSI format. Even when the version number is correctly changed, non-UNICODE TD versions can not read UNICODE text files. 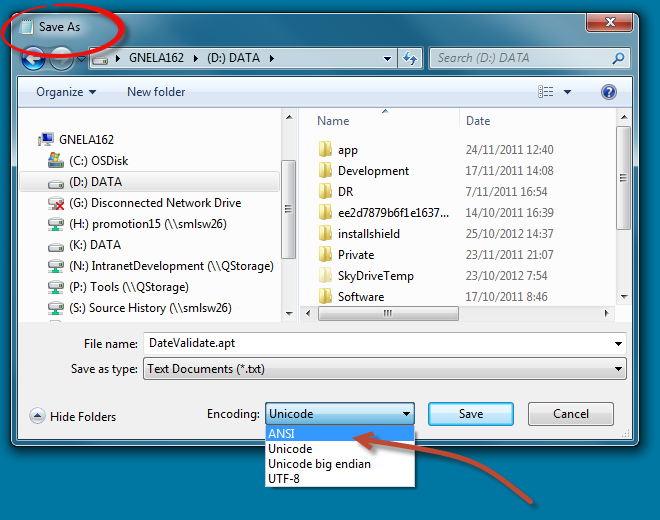 In notepad, there is the option to set the encoding of the text when saving. This page was last modified on 19 January 2018, at 14:32.